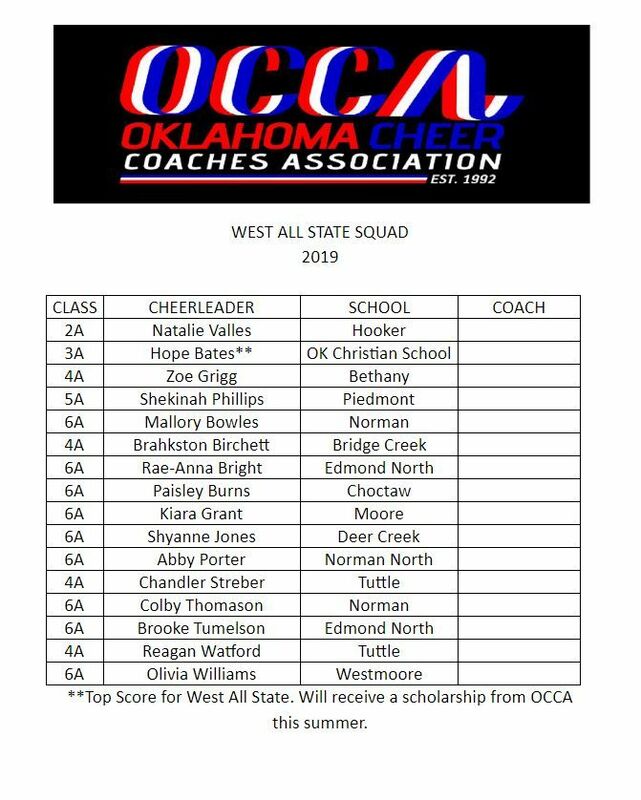 Congratulations 2018-2019 All State Squads!! 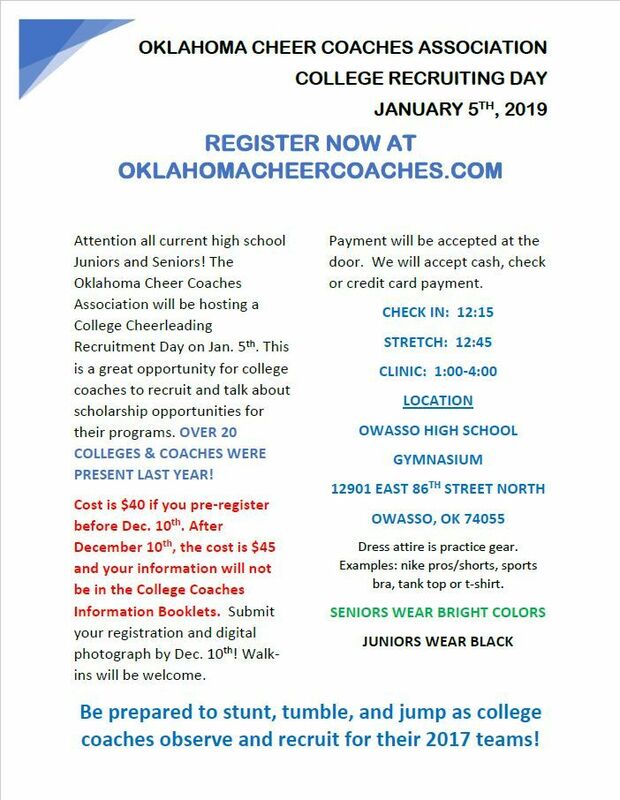 Congratulations to the OCCA Academic Scholarship winners and Academic All Staters! 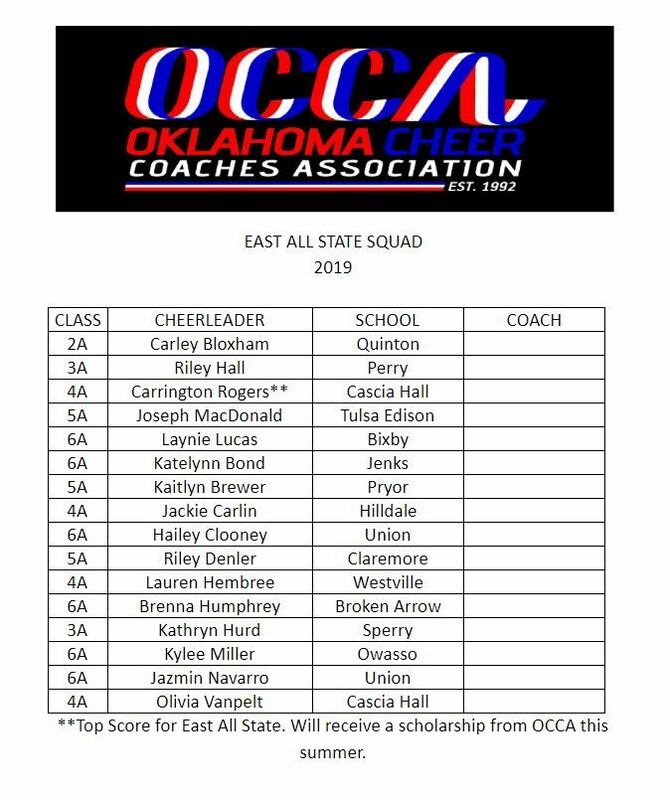 CONGRATULATIONS 2017-2018 All State Cheerleaders!